How will it work online for me? Who will guide me and HOW ? The payment process is like that of any E-commerce website, you use your Debit card/Credit card or Net Banking option to pay, it’s a very simple process. Just select the program and duration click on ‘Join Today’ and follow the steps. MODES OF PAYMENT OTHER THAN ONLINE PAYMENT VIA WEBSITE ? 1.Bank Transfer- You can directly deposit required amount into our bank account through Online fund transfer/Cash deposit/Cheque deposit for which you can ask the health counselor to give you our bank details. 2.Cash Payment- You Can Visit your Nearest Balance Nutrition Center and make the cash Payment. Or if we have a centre in the city you reside in,then you can request for a cash collection. 3.Direct Payment Link- We can also send you a direct payment link on your Mail ID, just request your health counselor you have been speaking to or mail us for the same, You can click on the link and make an online payment. 4.Wallet Payment- We also have Paytm wallet facility. You can directly transfer money in our Wallet. 1.Bank Transfer- You can directly deposit required amount into our bank account through Online wire transfer through any international Bank or Foreign exchange. 2.Direct Payment Link- We can send you direct payment link on your Mail ID,you can click on the link and make an online payment. DO I NEED TO PAY UPFRONT OR I CAN PAY IN INSTALLMENTS ? Yes, you can avail EMI Facility as well. At the Checkout page, you will get the option of Credit Card EMI. This Facility is available for only Indian Credit Card Holders. WHAT HAPPENS AFTER I PAY UP ? HOW DOES ONE JOIN OR ENROLL THE ONLINE WEIGHT LOSS PROGRAM AT WWW.BALANCENUTRITION.IN ? Enrolling is a simple process. After registering, you can select the program of your choice (If in doubt use the need assistance, or chat feature or use the video tutorial) and click on "Buy Program" and proceed with online payment. WHAT IS BALANCE NUTRITION ALL ABOUT ? An online program for weight loss and other lifestyle conditions like Diabetes,PCOS, Thyroid, cholesterol etc. HOW DOES THE ONLINE PROGRAM WORK ? It’s as simple as buying things online, choose program, buy online or do a money transfer in the bank, you fill an assessment form which allows us to make a diet plan just for you, and then your assigned mentor will take it from there. Generally, a diet plan is followed for 10 days, you fill the weight tracker every 5 days and on 10th day your mentor plans a totally new diet chart. You also get the E-kit in the My account section, mentor will regularly send you updates/ guides /tools to cover for your special occasions or situations. This ensures you are supported throughout the program. We have more than 7000 national and international clients who are doing this globally, every client has a dedicated mentor who studies your assessment form and designs the program. The founder and her senior team monitor every stage. Each client has a private login, your assigned mentor will be in constant touch with you via email chat and most queries are answered within 3 hours, though generally as a rule you should expect a reply to a query within 8 working hours. HOW WOULD I KNOW WHICH PACKAGE SUITS ME THE BEST ? 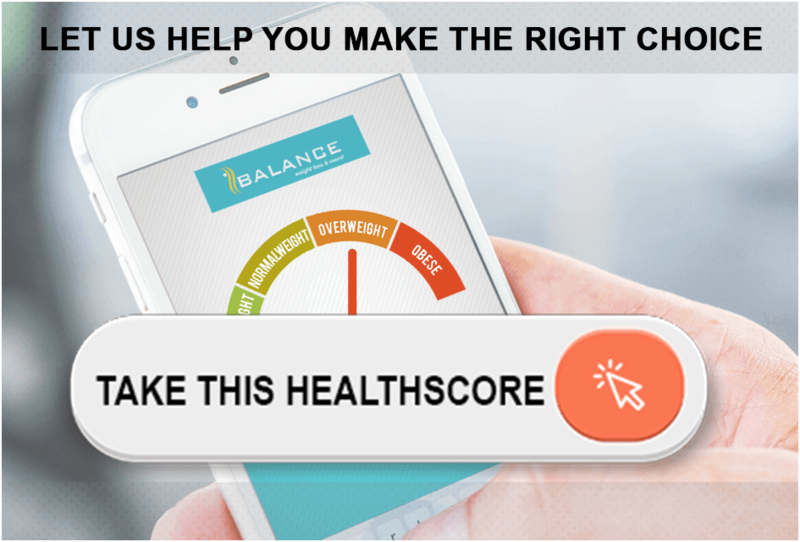 You have three options either you use the free health score feature on the home page & answer the questions, it will tell you what is the ideal program for you, if still in doubt use the need assistance feature or you can even chat with us. And don't worry whatever program you choose, your mentor will make your diet plan after studying your ASSESSMENT form, she will deploy all necessary tools at her disposal to make your program result oriented. At Balance Nutrition stress is ours not yours. As soon as you enroll you get a dedicated mentor who is a qualified dietitian, she will plan a personalized diet after reviewing your assessment. Generally, we see that a person should follow a diet for at least 10 days for human body to respond, so we normally send you a new diet on the 10th day, you will be needed to fill your weight tracker every 5 days and other trackers as directed by your mentor. If you may have queries or issues you can send it using the email query in My account section or just mail the mentor directly. HOW OUR DIET PROGRAM WORKS ? One diet plan is for 10 days, during this period if you have queries or issues you can mail your mentor and she will address it within 8 working hours, diet plan is not rigid we adapt it as needed even within every diet cycle. So, in 30 days Program you will get 3 new Diets, 60 days Program you will get 6 new diets and in 90 Days program you will get 9 new Diets. HOW DO I RECORD MY PROGRESS AND UPDATE THE MENTOR ? You should fill the weight in your weight tracker every 5th day in the My account section, other trackers should be filled as recommended by your mentor. Generally, the mentor sends a new diet plan on every 10th day but in case needed they will change or modify your diets. IS IT NECESSARY TO FILL THE WEIGHT TRACKER & DIET RECALL/FOOD DIARY ? The weight tracker has your views and comments, besides your weight statistics.Your mentor will only plan the next diet after reviewing this & the diet recall i.e. the food diary very carefully. The focus at Balance Nutrition is to plan a diet that fits into your life and make it easy for you, we can only do this with your feedback, the weight tracker and food diary (diet recall) are tools for those feedbacks.Also in any health program its necessary to have comprehensive health records, so one can review/refer to the history whenever there are issues. DO I NEED TO EXERCISE ? HOW IMPORTANT IS EXERCISE/WORKOUT DURING THIS PROGRAM ? HOW WILL WE LOSE WEIGHT WITHOUT EXERCISING ? Most of our clients do not do any form of physical activity due to their busy schedule and yet have managed to lose a good amount of weight. We work on the 80/20 principle of nutrition science. For any weight loss/wellness/fitness program, diet plays 80% role, once you get that right you are bound to get result, if you can exercise and have time for that we may recommend you a suitable physical activity. In certain programs we recommend some physical activity, if so, you should follow the advice of the mentor and she will give you options that suit you. HOW MUCH WEIGHT LOSS DO YOU GUARANTEE ? In any health care program, anywhere in the world there will not be any guarantee, yes, we promise that if you are dedicated follow our diet plan & advice; RESULTS will follow. We have a very high success rate and never seen a client not get result if they follow our advice and are engaged with the mentor. Key is to engage with the mentor for any difficulty as she will do all in her power to make it easy and explain things to you. If that be the case, results are sure. I WANT TO LOSE WEIGHT FROM THE TUMMY ? There is no such thing as spot reduction, fat tends to go from areas where it is maximum,but there is no diet in the world which can aim at spot reduction, only surgery can. However, in our program people experience very good inch loss which is visible in our success stories. I HAVE A WEDDING/HOLIDAY/TRAVEL COMING UP ? I TRAVEL A LOT ? In case of any emergencies which simply prevent you from following the program just let the mentor know and she will consider putting your program on hold and grant you an extension. I LIVE IN A PG OR A HOSTEL, CAN I DO THE PROGRAM ? Yes of course, YOU CAN the whole program is designed for your ease, the diet is personalized for you so all your restrictions or preferences are captured while planning, the dine-out guide has all possible options for you, there are many other tools in the E-kit that makes it possible for you to do the program without getting stressed. Remember it’s our job to fit into your life and not your job to alter your life to fit into our program. HOW WILL I MAINTAIN THE LOST WEIGHT ? For your last diet plan we will provide you with maintenance plan which teaches youi how to maintain your results. You also have a "lifetime access" to our recipes and health reads. In case of premium program client After your last diet, before you leave us, we also provide you Celebrate Life kit, it has cheat sheets, special daily essentials guide & a realistic menu covering normal day to day life In addition you have 30 day maintenance support. HOW WILL I RECEIVE MY 'ONLINE DIET PLAN' ? Once You have updated your ASSESSMENT, your mentor studies it with the senior team and the founder; if any queries the mentor will mail you, if not a diet chart is send within maximum of 24 hours of getting the form. Your first diet plan will be sent via email and same will be visible in your account on the website. WHAT IS THE PATTERN OF THE DIET, DOES IT NEED SPECIAL FOOD PREPARATION AND HOW STRICT IS IT ? The ASSESSMENT form has questions like 'who cooks at home' and 'how many meals do you eat outside'. So, the diet plans for losing weight and toning up are totally tailor made, keeping in mind the needs, preferences, restrictions you have, as well as the country of residence. The E-kit has tools & guides which makes the program very flexible and adaptable. CAN I GET A TRIAL SESSION? CAN YOU GIVE ME A SAMPLE DIET ? We don’t have a trial session or any sample diet; for simple reason that any program like this one needs at least 21 days to see perceptible change, plus, before starting the program we do an extensive assessment only after that a completely custom made diet plan is made & sent to you. We need a minimum commitment of 30 days from you for us to work on you and give results. There is infact no sample diet chart that works for all, what works for you will not work for someone else. DO YOU HAVE CRASH DIETS ? No genuine program will give any crash diets, that’s a wrong notion and practice, in fact it’s against the core of the science of Nutrition itself. WILL I HAVE TO COOK EXTRA ? IS THERE SPECIAL COOKING OR SPECIAL FOODS ? At Balance Nutrition, we take a lot of effort initially to assess you & understand your lifestyle, who cooks, what kind of food you have access to, what kind of work lifestyle you have etc. ; we make sure that the food given is something you can easily manage given your life and lifestyle, you won't be eating or cooking anything that you cannot manage or sustain. DO YOU GIVE POWDERS / SUPPLEMENTS /FANCY INGREDIENTS ? Balance Nutrition is about pure natural foods that you eat and see around you. We don’t use any artificial powders pills or anything which is not natural. WILL I LOOK PALE, HAVE HAIR LOSS ? WILL I FEEL HUNGRY, DULL, AND TIRED AFTER FOLLOWING YOUR PLAN ? No. We plan your diet considering all nutrition requirements, we ensure that you lose weight but not your health, in fact most of the clients experience a renewed vigor, energy and glow after our program. IS IT A 2 HOUR EATING PATTERN/DO YOU MENTION TIMINGS ? Before planning your diets, we first consider your lifestyle, what foods are available to you, your work life, and many other things. The diet reaching you will be designed to fit into your life we don't give unrealistic diet plans of frequent eating which you cannot sustain. WHO DO I TALK TO & HOW ? HOW WILL MY PROGRAM BE MONITORED ? After receiving your first diet plan online, your mentor is available for any queries via email. All your queries shall be answered in the shortest time span. It is as quick as 20 minutes. Generally, a diet plan is given every 10th day, if you face any issues in following the diet due to any reason you can tell your mentor and we shall make the necessary changes. This can be done via email chat in the MY Account section. HOW OFTEN DO I TALK TO MY MENTOR ? During your program at Balance Nutrition, you have unlimited email support with your mentor. All emails are responded to by your mentor within 3 working hours max. CAN I SPEAK TO MY MENTOR ON PHONE ? Mentors ARE NOT available on phone or WhatsApp. As being a health program a record is mandatory of conversations exchanged as such for all queries/issues email is the best option which goes directly to your assigned mentor and you will get an answer within 3 working hours, However, if you wish to still having any issues, please mail at clientservices@balancenutrition.in and we will take appropriate action. HOW DO I REQUEST A CHAT OR PHONE ? All you should do is, contact your mentor & send her an email. Post that if you still have issues you can mail them to info@balancenutrition.in or khyati@balancenutrition.in, we will review and take appropriate action, if needed a senior person will get on call, Mentors are not allowed to address issues on the phone as we audit all exchanges for quality control. CAN I KNOW THE NUTRITIVE VALUES OF RECIPES ? Yes, go on recipe section and type the name of the recipe, if it's in our bank you shall get the health-o-meter, you can also know the protein, fat, carbohydrate and calorie value of recipes. WHAT IS RECIPE BOOK ? You can add your favorite recipe/Recipe mentioned by your mentors in this section. This will work as your personalized recipe book and you don’t have to search same recipe repeatedly.